With TEC’s online HR software evaluation center, companies can easily compare industry-leading HR software solutions to help them quickly find the best solution to manage their employees more efficiently. Compare 20+ industry-leading Core HR software solutions head-to-head in the TEC Core HR Software Evaluation Center. Technology Evaluation Centers (TEC) is pleased to announce the launch of its Core HR software evaluation center. The new software evaluation center includes a list of key software solution features that help HR professionals manage their employees more efficiently and detailed profiles of industry-leading solutions so that organizations can quickly and easily compare them to find the one that suits their needs best. The Core HR software evaluation center consists of standard HR functions such as payroll, employee records, benefits administration, recruitment, and time and attendance. Since these functions are required by HR professionals on a daily basis, most organizations use software to automate these functions and make them more efficient. In recent years, Core HR software solutions have expanded to provide HR professionals a more complete view of their employees’ profiles and lifecycle. By enabling better integration between the employee systems of record and human capital management (HCM) tools such as performance reviews, compensation management, career development, and learning management, Core HR software solutions give companies a comprehensive picture of each employee. TEC’s Core HR software evaluation center features more than 20 solutions from leading HR software vendors. Companies that visit TEC’s online evaluation center can compare HR software solutions based on their unique business needs, which makes it easy to identify which solution(s) best fit their needs. This helps mitigate the risk of a misstep in the software evaluation and selection process and allows organizations to quickly develop a shortlist of promising software solutions to narrow down their efforts for further evaluation. 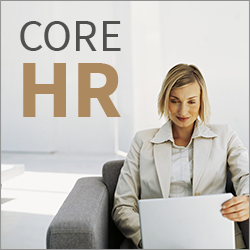 The TEC Core HR Software Evaluation Center is available to try for free. Contact +1 514-954-3665, ext. 404, or e-mail selectionservices(at)technologyevaluation.com for more information.